1 and 2 are on Airline A, 3 is on Airline B, 5 is on Airline C.
I am assuming airlines don't matter, only the Chinese cities, so does this qualify for 144 hour visa? Related: What does 'Confirmed Seat' mean with regards to Beijing 144-hour visa-free transit? 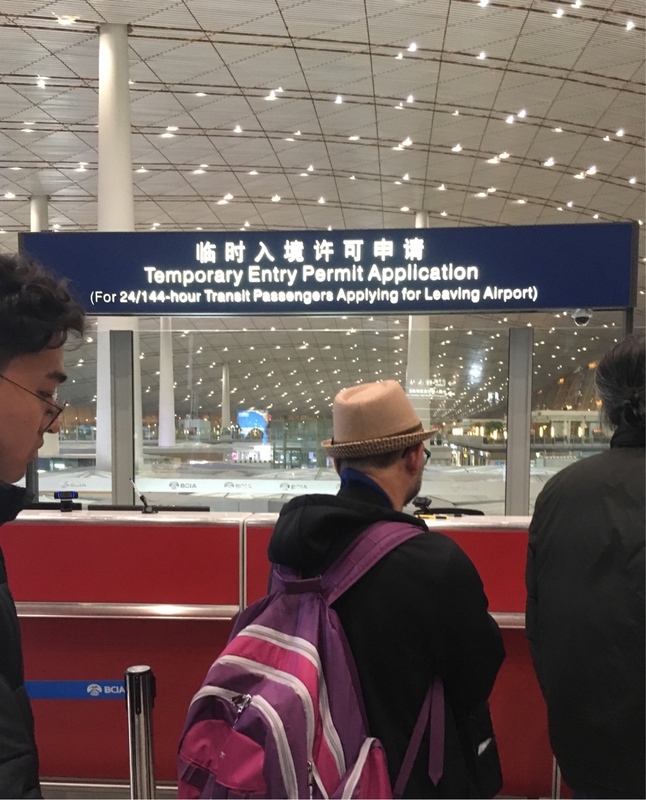 Update: tldr - Yes it qualifies but still needs a temporary entry permit which is called a visa in Chinese. More details below. Recently I tried to go through foreigner line at customs at PEK. Officer said you need a permit for any stay in China if leaving airport. My itinerary counts for a “visa free 144 hour stay” but that still requires a permit that you can get at a consulate in your home country or at visa/permit counter in airport. I took this photo at PEK. Not the answer you're looking for? Browse other questions tagged visas japan us-citizens china taiwan or ask your own question.